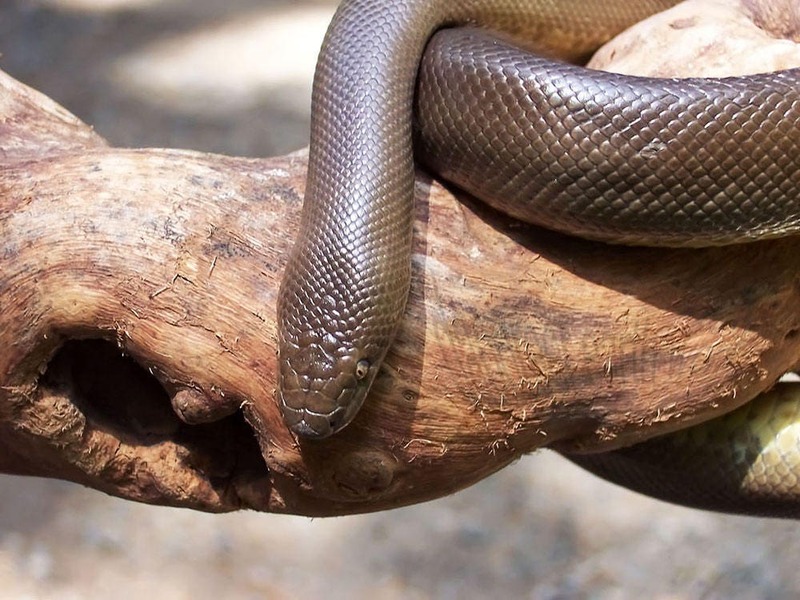 The Charina bottae, or rubber boa looks like a rubber snake, and moves about as fast as one, too. Rubber boas will never bite as a defense mechanism, so they are about as dangerous to humans as a rubber snake, too. This beauty's name is MacGonagall and she's my friend.